Spread from 13:20' to 26:40' Simha. Lord Ravi, deity "Shivalinga", Symbol-Swinging hammock. It is also called the Bhagadaivata Star. All the six majesties, pleasure and prosperity, love, enjoyment and sensual delight are caused by this Nakshatra. He likes full freedom. A common observation is of the native becoming famous in one or the other field. However, his mind will be full of disturbances on one or the other matter. He has inherent intuitive powers to know the problems of others. Hence, even before the help is requested for, the native extends his helping hand to the needy. He has a sweet speech and is fond of traveling. He cannot be a slave to anybody. Because of this quality it is often noticed that he will not take up a job which involves subordination in its true meaning. There is a drawback in the native; he cannot be a 'yes master' even to his boss in the case of employed persons. Hence he is not in a position to derive much benefit from his superiors. He wants to be sincere in all the work he undertakes. Neither can he be a party to any illegal activities nor does he have the power of tolerance to see such activities. This condition of his mind drags him into several complications in life and he is ready to face such problems. He does not like reaping any benefit at the cost of others. He will have several hidden enemies who stand as the main obstacle in his progress. However, the native is able to tackle and defeat such enemies and attains much success in all the work he undertakes. He is a power monger. He gives preference to the position and authority rather than money. He observes a right path leading to progress and may devote his valuable time for such a cause. Even though the native is able and intelligent he fails to reach the place he deserves. But this should not be misinterpreted as it does not mean that the native will not grow in life. In the employment field, he will frequently change his jobs, particularly at the age of 22, 27, 30, 32, 37 and 44 years. He will attain the requisite position only after he turns 45. While he does not want to pocket other people's money he will frequently be troubled by others in the financial matters. In other words, borrowers will not return back his money to him. In spite of all the adverse positions mentioned above after he touches the age of 45 he reaches a good position where power and authority are vested in him. He can also shine well in the business field. I had confirm the things hapened in the past with ref to u r prediction & it is 95% as is. I will like to follow u. 90 % true . very fluctuating life. dont know interested area. the jobs in various field. Very fine and precise profiling. However am confused since as per Western Zodiac, I am a Gemini. As per Janma Nakshatra, I am a Leo. What would be the appropriate Gem accordingly. My DOB 15-6-1967, Mumbai, 5.20am. true... i find it amazingly familiar wid ma nature...!!! 98Very Very good description.Diagnosis almost 98% true.Such applied diagnosis is required. 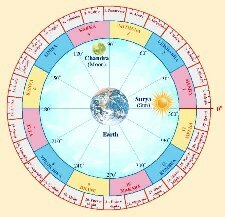 As my sign is purva phalguni leo, I compare with the post with me.I found 80% match with my charectoristics.